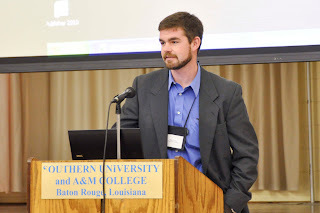 In November I attended the 2011 Global Food Security and Plant Biosecurity Symposium at Southern University and A& M College in Baton Rouge, LA. 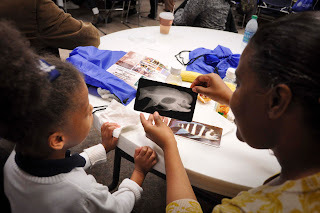 Beyond the central themes of the symposium was a focus on minority contributions to science. 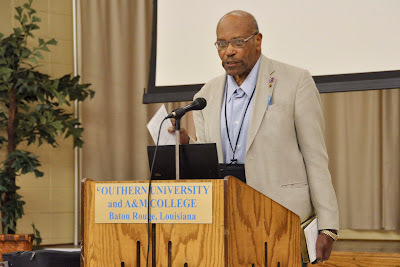 A special session highlighted the contributions of Dr. George Washington Carver to plant pathology and global food security and featured one of his former students, Dr. Lafayette Frederick! It was a real treat hearing first hand accounts of this incredibly influential scientist from Dr. Frederick. During the symposium, I gave a presentation entitled "Biological Control of Invasive Species in Hawai'i: Communicating Modern Biocontrol Research to a Skeptical Public." It focused on the obstacles that Hawai'i biological control faces from public scrutiny (largely tied to past releases of invasive species) and how communication with the public is essential for success. 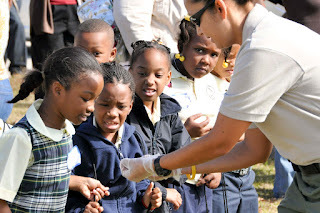 Built into the symposium was a K-12 outreach day that was an especially rewarding experience. 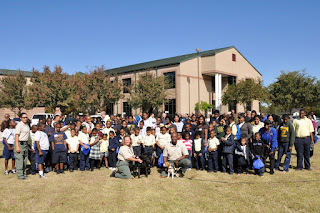 Local school children came to learn about some fundamentals of plant science while having some myths about what a scientist looks like dispelled. The kids were excited, engaged and lots of fun to be around.